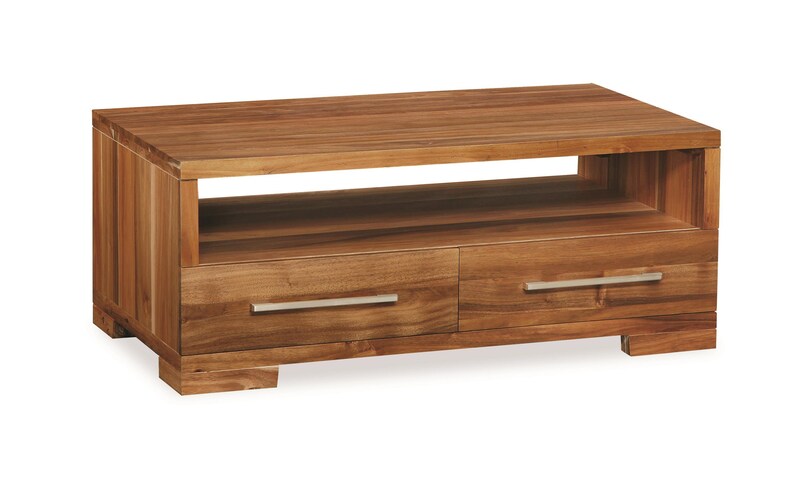 Add simplistic elegance to your living room with this contemporary coffee table. The large bottom shelf is an excellent place to store reading materials or board games while the two bottom drawers offer additional storage space. Metal pull bar hardware lends a modern sleekness to the overall design while the blackwood veneers and solids construction create a rustic aura of warmth and comfort. The Clifton Coffee Table by Global Home at HomeWorld Furniture in the Hawaii, Oahu, Hilo, Kona, Maui area. Product availability may vary. Contact us for the most current availability on this product.